Myopia also known as short sightedness is the new silent pandemic. The prevalence of Myopia is increasing drastically over past few decades. According to Brien Holden Vision Institute, Australia; approximately half of the world population would be myopic in the next 35 years to come. Some countries like US have displayed a 40% increase in myopia in children. 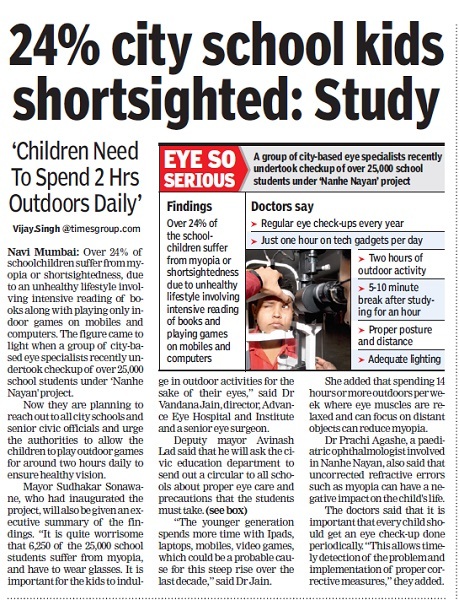 Unfortunately, India is not far behind and has shown radical increase in myopia in children. Periodic eye check-up for every child is a must as this can detect the problem in time and help implement the necessary corrective measures. 6. Ensure proper lighting in the room while kids are studying. 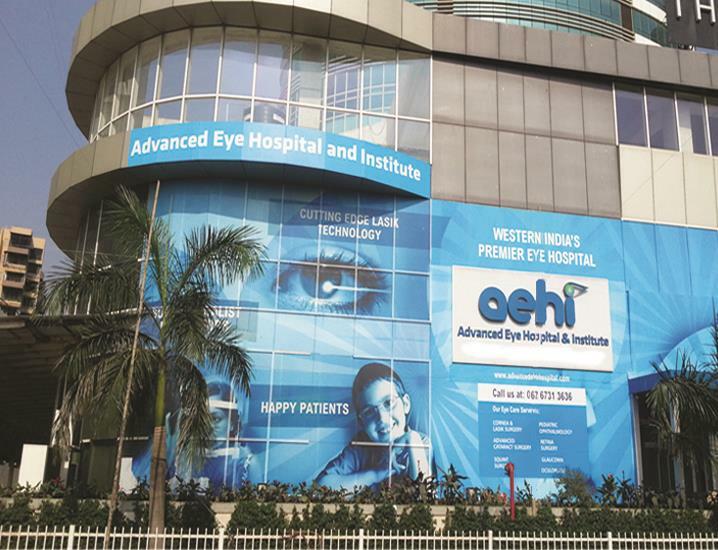 Dr. Prachi Agashe is a renowned Pediatric Ophthalmologist and Adult Squint Surgeon at Advanced Eye Hospital. She has a lot of experience and expertise in dealing with children's eye problems.